I saw a video from Sun MicroSystems last year, in which they showed a demo version of a 3D desktop environment. 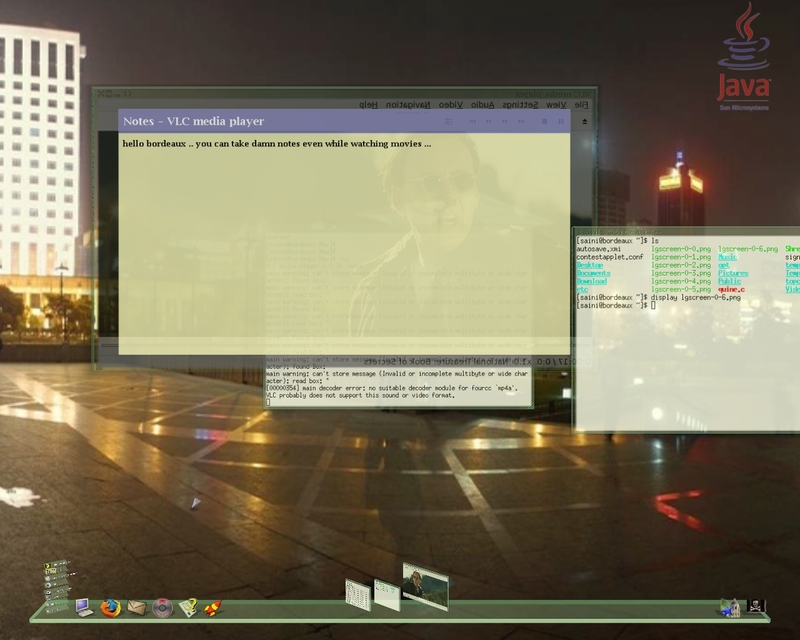 It was really awesome and was the really 3D desktop environment. A lot of 3D desktop emulators are available currently like beryl, but they are not really 3D. Because one can’t go behind the windows, terminals etc. Believe me, Looking Glass 3D is far better than all vistas and beryls if only graphics are compared. Around two-three weeks when I was going through one of the tech magazines in library, I came across a topic which discussed desktop environments for Linux. I was surprised to see Project Looking Glass over there. 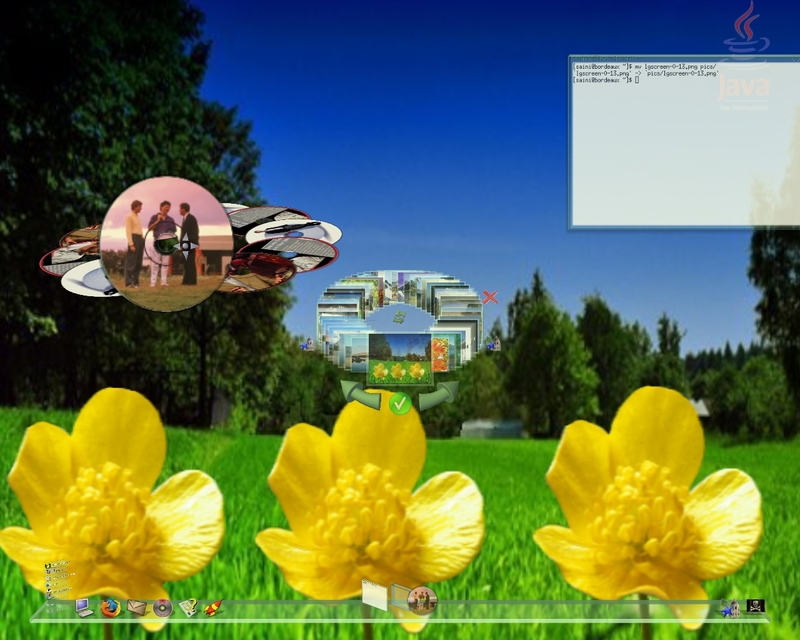 Day before yesterday, I downloaded the Project Looking Glass 3D desktop environment for Linux from here.Project Looking Glass 3D desktop environment is a purely Java based desktop environment and it runs on top of Java virtual machine. It requires graphics card (at least on board). 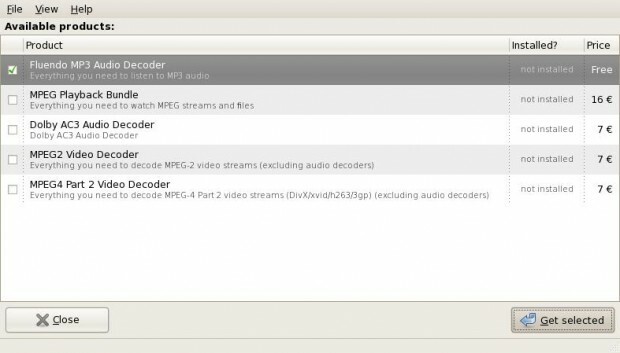 Here is a way to install nVidia drivers in Linux. The other requirement like processor and RAM are quite low and almost all systems can qualify for that. 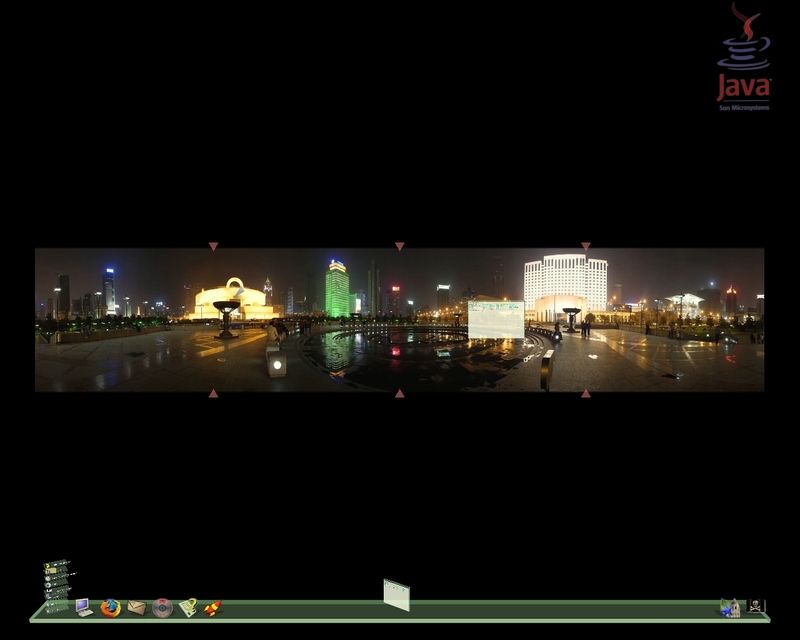 Looking Glass 3D is very easy to install. Below are the steps to install it on Fedora 7 (kernel-2.6.22.1-41.fc7, but the steps for other operating systems may be similar. In a terminal switch to root user. [saini@bordeaux saini]$ su [Enter] Enter root password. If this command doesn’t give any error, that means you have successfully installed the Looking Glass 3D desktop environment. 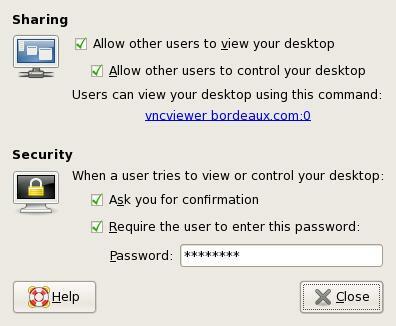 Now logout and on the login screen, choose Looking Glass as the desktop environment. Just login into your account and what you will see will be more than a surprise. 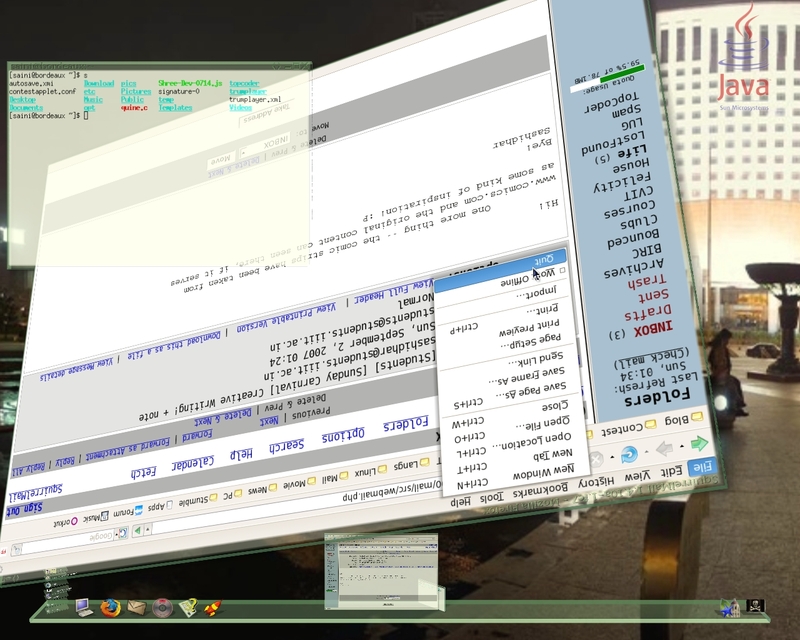 Below are some screenshots of my Looking Glass 3D desktop. You can browse all my screenshots here . PS0 : It may the best 3D desktop environment but is not really usable on slower machines especially with low end graphics cards. 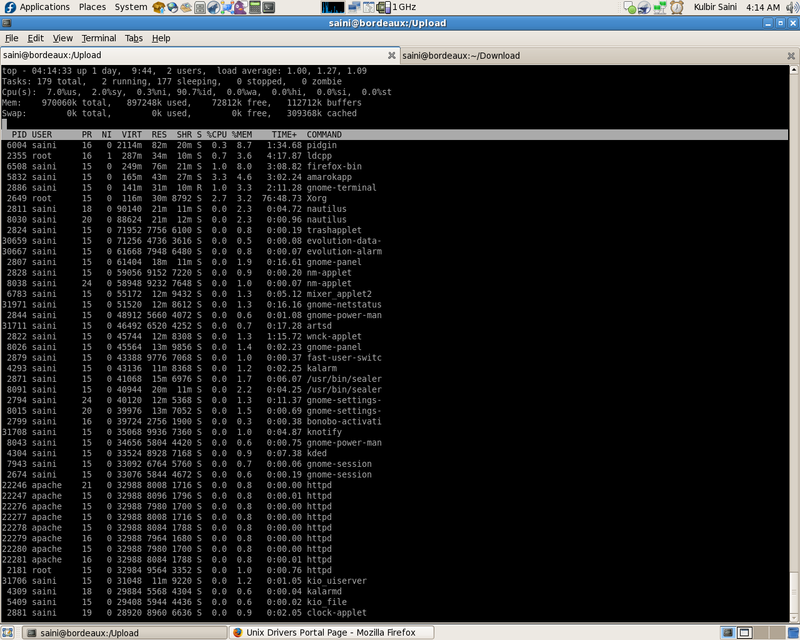 As expected, I upgraded to Fedora 7 – Moonshine yesterday. The coolest feature I noticed is that it automatically detected my Ralink WNC-0301 wireless lan card. Well, support for other wireless lan cards like ipw2100, ipw2200 and ipw3945 is also there which is I think the best feature. Because I see a lot of people around fighting with there wireless lan cards to work under Fedora Cores. The gui is kind of improved but one more cool thing that you will notice is the theme “flying high”. The wallpapers, splash screen, login screen are improved a lot. Overall, the artwork part is worked out hardly. Default font is also nice. 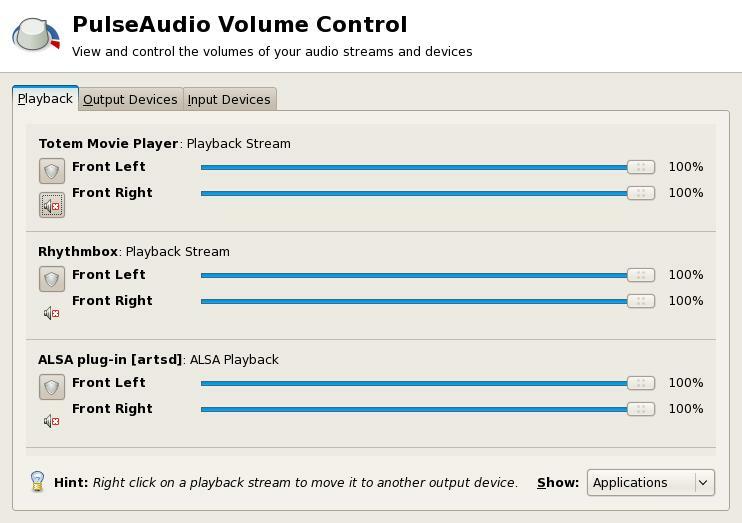 A lot of media players are provided. 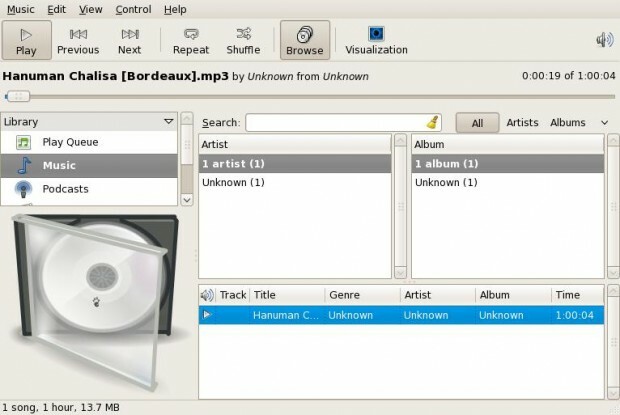 amarok and kaffeine are included first time but amarok with no mp3 support. You have to install gstreamer and gstreamer08 plugins to make it work. The system preferences menu is totally different with similar tasks being grouped. In addition to all that now Fedora also has some basic directories in the home directory like Documents, Music, Pictures, Videos, Downloads. Everything else is the same with upgraded versions. Here is a Video of my current Fedora 7 desktop. now restart the xserver and the nvidia will work 😀 . For more info refer my xorg.conf for F7. PS1 : If you are a IIITian, I suggest you not upgrade to F7 because iyum is not yet configured to cache F7 rpms and you have to install updates for your OS from the internet and that really sux. So, wait for iyum repo for F7 to be up and then upgrade. 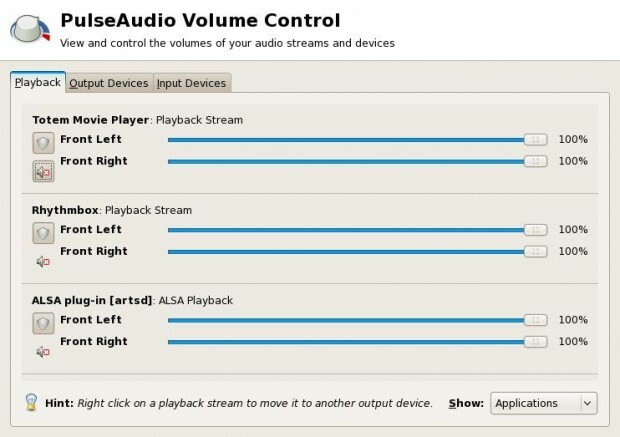 Edit : If you are looking for wireless configuration in Fedora 7, here is a reference. Well, finally I realized the power of my onboard graphics card … too lazy to realize even this (it took me a year to realize this obvious fact). I downloaded the latest nVidia drivers from here and also upgrade to the kernel-2.6.20-1.2944.fc6. You can get it from any site which provides rpms or you can install is using yum. 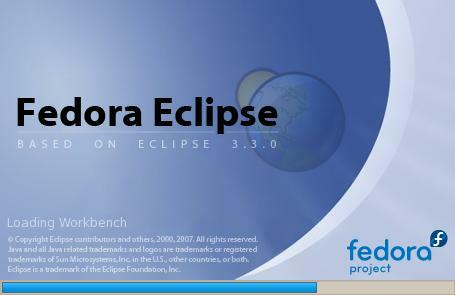 Not to forget I did it on Fedora Core 6 – Zod. So, here goes the exact procedure. 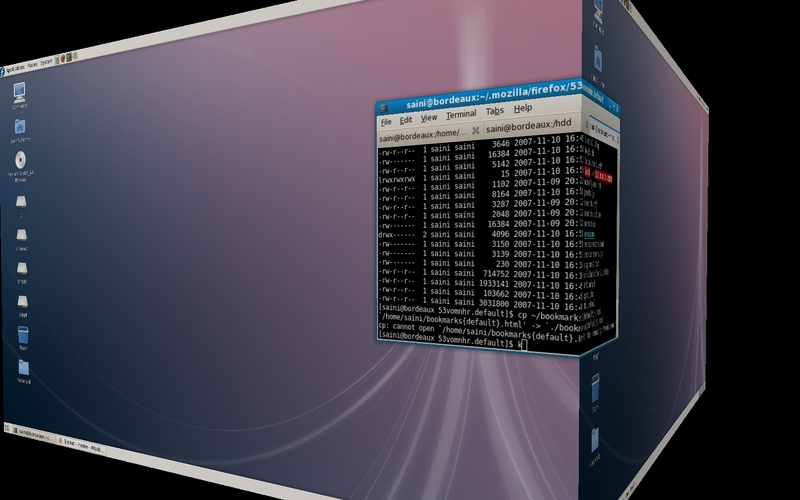 Warning: Take a backup of your /etc/X11/xorg.conf file before experimenting with 3D desktop. It help in case of X server crashes. 1. Download the latest nVidia drivers from here. 3. 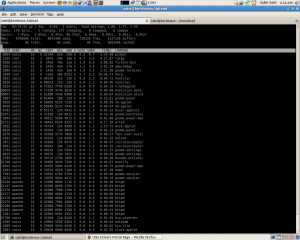 Reboot and switch to the newly installed kernel. A user interface(I don’t know what to call it, graphical user interface on command line) will appear, answer the basic questions and you are done. Option "AddARGBGLXVisuals" "True" Option "DisableGLXRootClipping" "True"
or you can use my xorg.conf with appropriate modifications. 9. Now logout and login again and run command beryl-manager or compiz and you are done with installing beryl/compiz with latest nVidia drivers. 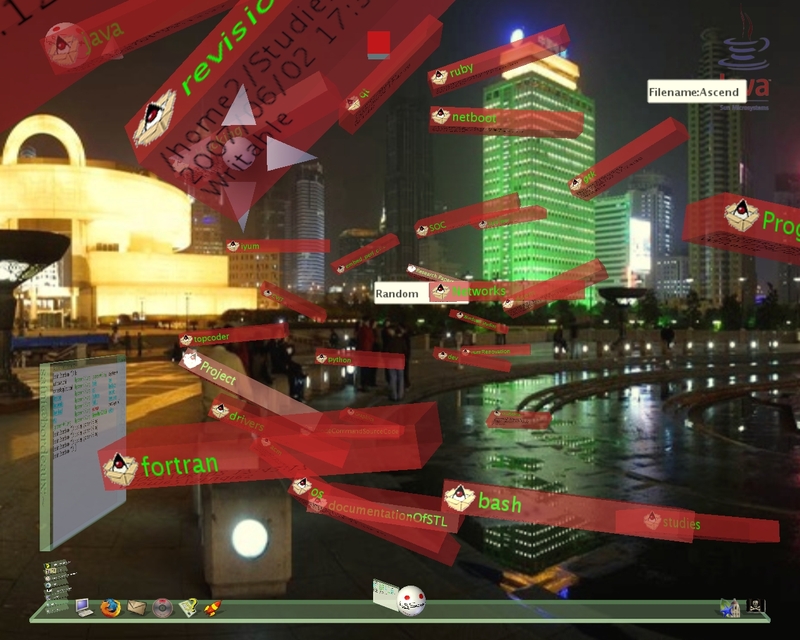 Enjoy the 3D desktop. 10. If in the above process your X-server crashes, press Ctrl-Alt-F1 and login as root, replace your existing /etc/X11/xorg.conf file with the backup you took in the beginning and do startx. 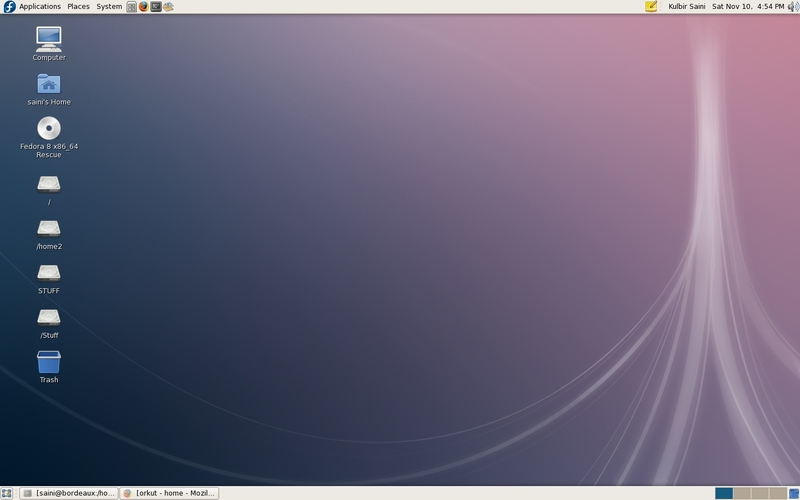 I installed the above packages on Fedora Core 6, the Hardware is Nvidia Ge Force 6100 onboard. 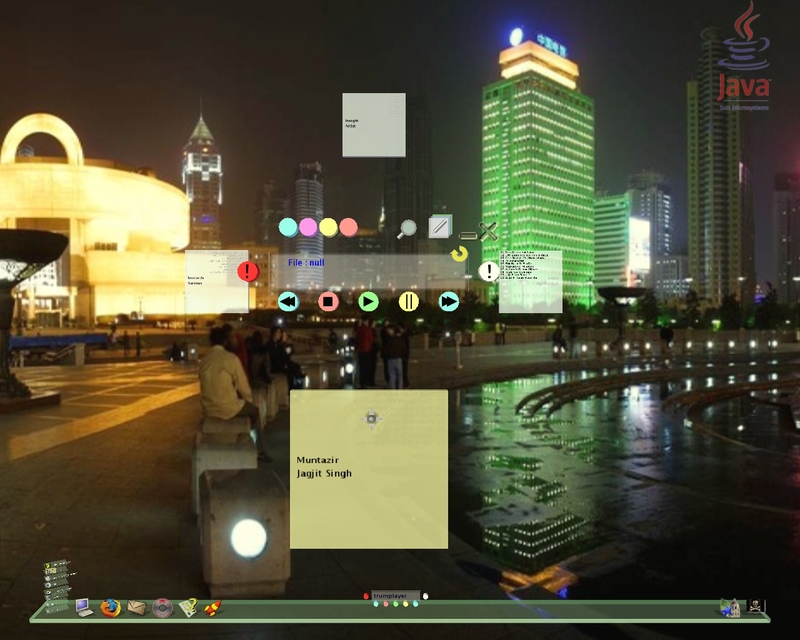 Here are some screenshot of my 3D Desktop ( They can also be seen here ).